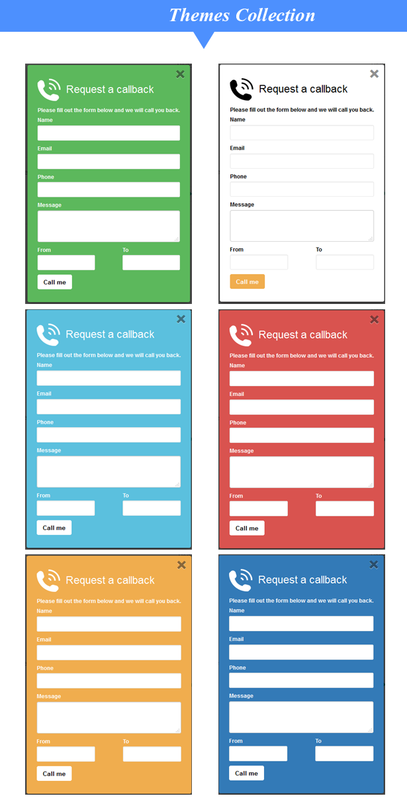 “Call Me Back Wordpress Plugin” is the best plugin for wordpress if admin want to get call request from customer. It has responsive interface with 7 nice build-in themes. 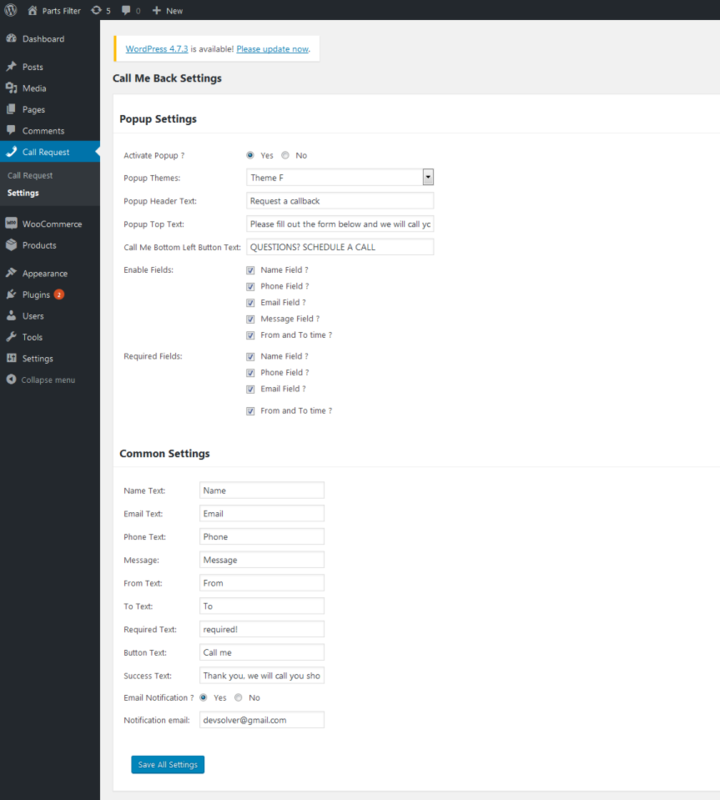 Admin can set call request box as a popup or wordpress widget system and possible to customize all options and fields dynamically. Admin will get notification via email when customer send call request and after done comminication with customer admin can set call request status also. Its compatible upto wordpres version 4.8.1. * Solved conflict post upload with plugin upload. * Popup small issue solved. * Button position added into settingts page. * Image change featured added into settings page. * Launched the initial version of the plugin.